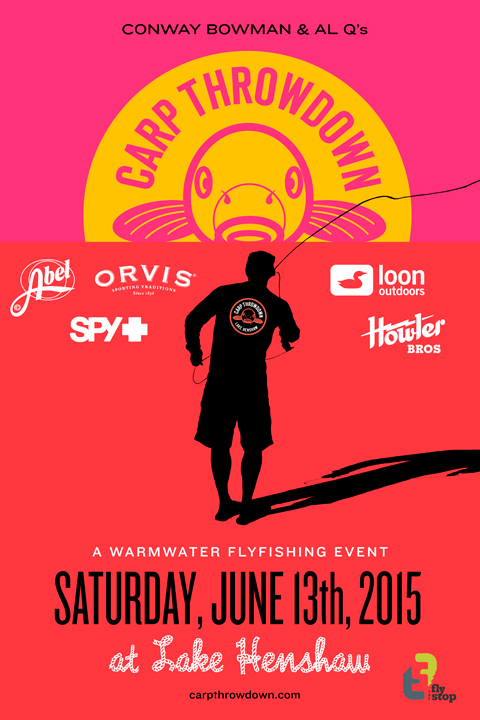 I highly recommend coming out this june to the hodaddy of all carparandum, the bowman/q carp throwdown. this is a feel good, fun event held at lake henshaw. we have partnered up with the fly stop this year so please stop by their shop and show some love. barbecue and live music on the friday day night before. camp out or rent a bungalow. great prizes. this will be our forth one. 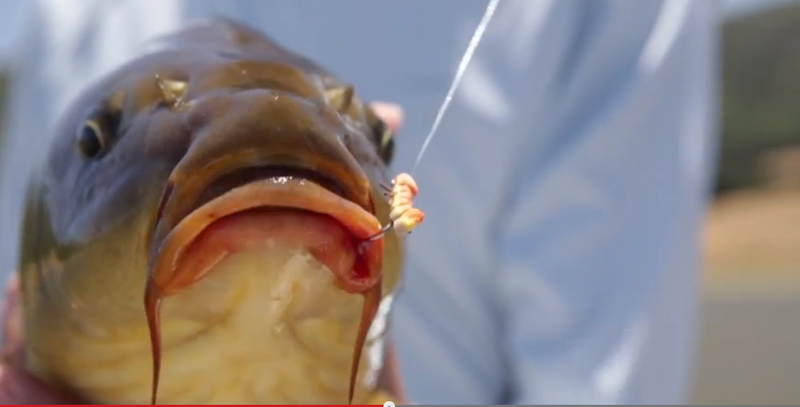 we try to time it right around the famous hopper hatch, when grasshoppers literally get blown into the lake and are gorged upon by acres of carp. the event is a fly only tournament, and most of the fish are caught believe it or not on dry flies on the surface. wade or boat, it’s sick, it defies logic but it all happens in june, join us! it’s on! 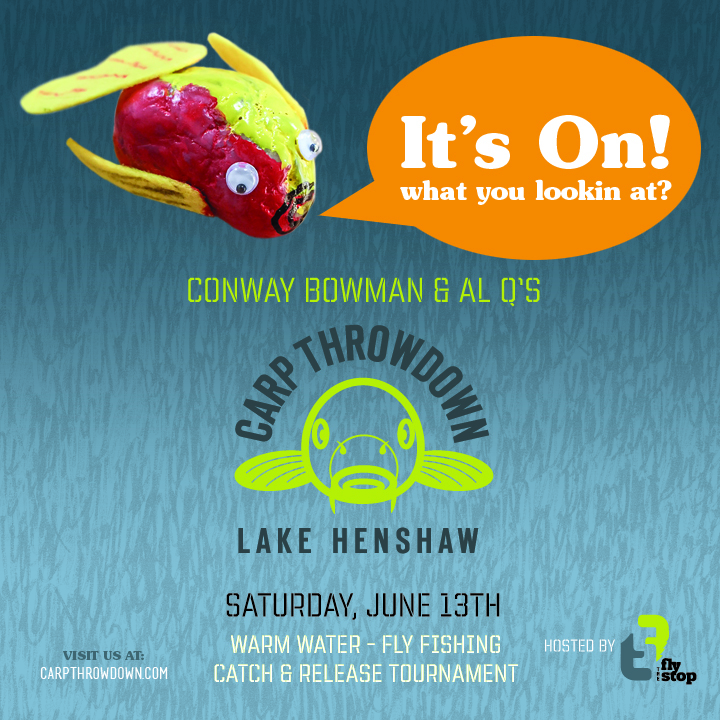 www.carpthrowdown.com registration should be up on the fly stop website soon.